The Derbes Law Firm began where it is presently located today, a building which was a former site of the First Parish Court of Jefferson Parish, Louisiana. Albert J. Derbes, III and Albert J. Derbes, IV founded the Derbes Law Firm, LLC in 1995, after their having practiced law together for a few years. Months later, after completing his tour as a Judge Advocate in the 82d Airborne Division, Eric J. Derbes likewise became a member of the firm. The firm practiced both business litigation of all sorts, including tax and bankruptcy, as well as business transactions. Wilbur J. (“Bill”) Babin, Jr., for years a chapter 7 bankruptcy panel member, joined the firm in 2002. After five years of practice as assistant general counsel for a publicly traded telecommunications firm, Melanie M. Mulcahy joined the Derbes Law Firm in 2004. That same year, Frederick L. Bunol started his practice of law with the Derbes Law Firm. 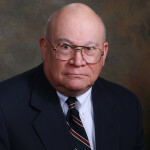 Beau P. Sagona, who is board certified as an estate planning and administration specialist by the Louisiana Board of Legal Specialization, joined the firm in 2007, bringing the micro-niche area of preparing court orders to divide retirement plans between former spouses, along with varied estate planning and succession practice. Albert J. Derbes, III passed his CPA exam while in law school in the 1960s. Upon graduating from Tulane Law School he became a JAG officer in the Air Force, ultimately being stationed at Clark Air Force base in the Philippines. Like Louisiana and most of the world, the law of the Philippines is based upon a Civil Code rather than upon British common law. He was the man who was often called upon to handle our soldiers’ interactions overseas. In one instance he was burned in effigy for his successful representation of an enlisted man. Upon his return, he practiced public accounting in New Orleans at the firm where both his father and grandfather had practiced. In those days attorney/CPAs had many legal impediments to a combined practice, although obviously tax, estate planning and business cross both professions. After many years, the CPA firm of Trahan, Kernion and Derbes merged into the national firm of Hurdman and Cranston, which later merged into Main Hurdman (at that moment one of the Big Nine accounting firms). As a CPA, he was President of the National Association of State Boards of Accountancy (NASBA) in 1987, and President of the New Orleans’ Chapter of the Society of Louisiana Certified Public Accountants in 1988-89. He was recognized many times by Federal and State Courts as an expert in the valuation of closely held businesses. With Hurricane Georges in 1998, which was New Orleans area’s first big evacuation, the Derbes Law Firm foresaw the need to not only operate in a digital manner, but to protect client data by evolving to a paperless working environment. When Hurricane Katrina hit in August of 2005, the firm had most of its data in digital format, and was able to set up shop temporarily in Houma with its evacuated servers. By spring of 2006, the firm was back to normal, the extensive water and electrical damage to our office having been fully repaired. The firm’s members have been active in the legal community as well as the community at large. The firm boasts two past presidents of the Jefferson Bar Association – – Beau P. Sagona (2008) and Eric J. Derbes (2014), and a former chair of the Louisiana State Bar Association Young Lawyers’ Division – Melanie M. Mulcahy, who also served as Division representative of the American Bar Association Young Lawyers’ Division. Frederick L. Bunol has been active in the Jefferson Bar Association’s Young Lawyers’ Section. Albert J. Derbes, IV is active in the New Orleans Bar Association, serving on its Board of Directors. He regularly speaks to other attorneys for their continuing legal education requirements. Bill Babin was named this year’s Jesuit High School (New Orleans) Alumnus of the Year. Beau P. Sagona currently serves as chair of the Mandatory Continuing Legal Education Committee of the Louisiana Supreme Court, which committee regulates legal education for 20,000+ Louisiana attorneys. The Firm competes successfully in the New Orleans Bar Association’s New Orleans Bar & Grille Cook-Off, which raises funds for legal aid. The Derbes Law Firm, LLC celebrated its 20th year of practice in 2015, following the retirement of Albert J. Derbes III on January 31, 2015. The firm has eight attorneys, including its two associates, Bryan J. O’Neill and Jared S. Scheinuk. Most of the firm’s staff bring more than a decade each of experience in the firm, including our in-house CPA, Hugh J. Posner.